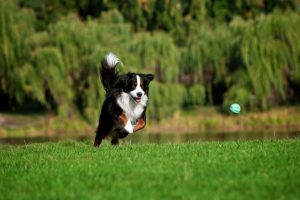 Before unhooking the leash and allowing your dog the ultimate freedom, you must make sure they are reliable off-leash. What do we mean by this? Well, in short, you must feel confident your dog listens to you when you have no means to control them. When you call them, do they come? When you ask them to drop an item, do they drop it? It’s a big world out there and you need to keep your dog safe. Just as you wouldn’t give your nine-year-old child an 11:00pm curfew, you shouldn’t give your dog, who has not been properly trained and prepared, all the freedom in the world if he hasn’t proven he can handle it. Our off-leash training prepares your pup for this type of freedom. Can it be done? Absolutely! Can it be done overnight? Absolutely not!